Hi! 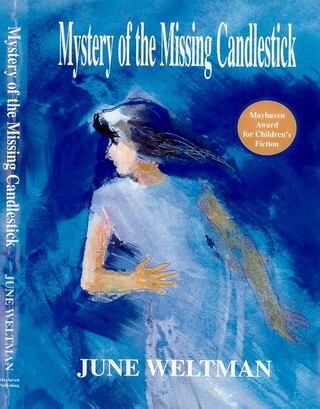 I'm June Weltman, author of Mystery of the Missing Candlestick, a young adult mystery that features 17-year-old detective Miranda Manning. Do you like mystery, suspense, and adventure? In Mystery of the Missing Candlestick, Miranda, a high school senior, visits St. Augustine, Florida, with her oldest friend, Rebecca, and a new friend, Leila. When they arrive, they discover thieves have stolen an antique silver candlestick that belongs to Rebecca's family. The girls follow clues that take them through the historic city that was settled by the Spanish in 1565. There's a series of thefts, a gang of thieves, suspicious characters, threats, danger, and even a little romance. Do you like to learn extra stuff, like history, while you're reading just for fun? The Florida Historical Society created a special award for Mystery of the Missing Candlestick, the Journeys for the Junior Historian Book Award. It also won other awards. If you've already read Mystery of the Missing Candlestick, you'll be happy to know that I finished my second Miranda Manning mystery. I'll keep you posted. I love to hear from readers. Let me know how you like Mystery of the Missing Candlestick. E-mail me. Teachers: Booklist recommended Mystery of the Missing Candlestick for grades 5-8. There is an AR test for the book. I also have standards-based reading comprehension questions and other Resources to enrich students' enjoyment of reading and Florida history. 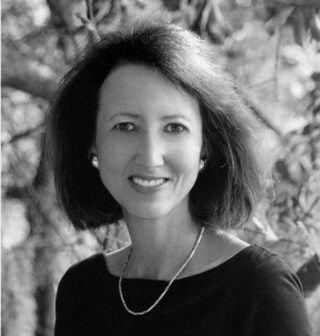 Learn more about an Author Visit. I also like to write book reviews of good mysteries for children, young adults and adults. Most of the children’s and young adult books are winners or nominees for Edgar or Agatha awards. The reviews appear in the Florida Times-Union in Jacksonville, Florida. I won a second place national award in the 2014 National Federation of Press Women (NFPW) Communications Contest for two of my reviews that ran in 2013: Code Name Verity, a gripping young adult story set during World War II by Elizabeth Wein, and Three Times Lucky, a delightful children's mystery by Sheila Turnage. Both were among my favorites for the year. In 2012, I won a first place NFPW national award. The two winning reviews were a review of five books featuring girl detectives in the Nancy Drew tradition and Zora and Me, a mystery based on the life of Zora Neale Hurston by Victoria Bond and T.R. Simon. My reviews also won NFPW first place awards in the at-large competition, which is similar to a state-level contest, for 2010, 2011, 2012 and 2014. Read the reviews at www.jacksonville.com/authors/june-weltman. "... surprising, scary and smart!"